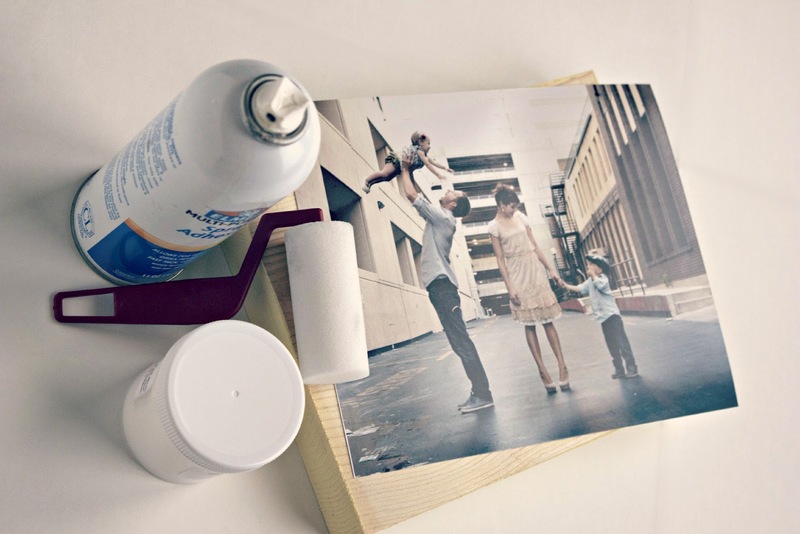 Take a block of wood (you may need to cut your own) the exact size of your picture and paint the sides and back whatever color you'd like to match your picture. 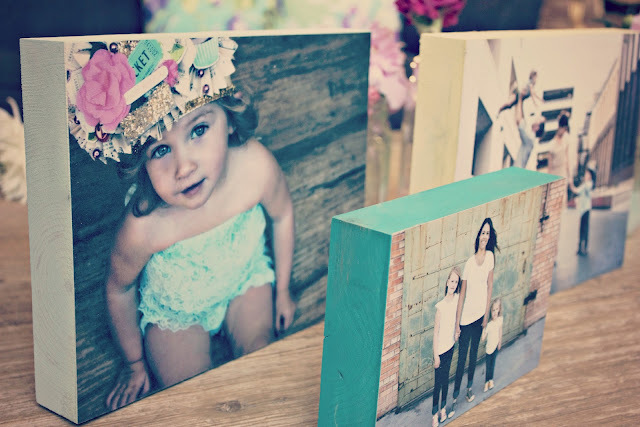 Use a spray adhesive on the back of your photo and glue it to the front of the painted block. 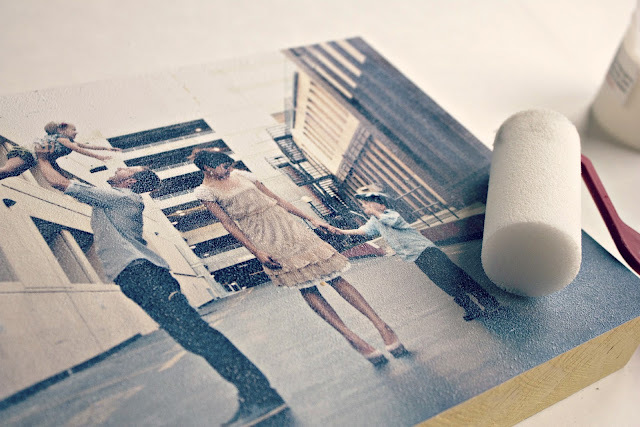 If your photo is slightly bigger than your block, you can turn over the block with the picture attached, so the back is facing up and use an exacto knife to trim the edges so you've got a perfect fit. 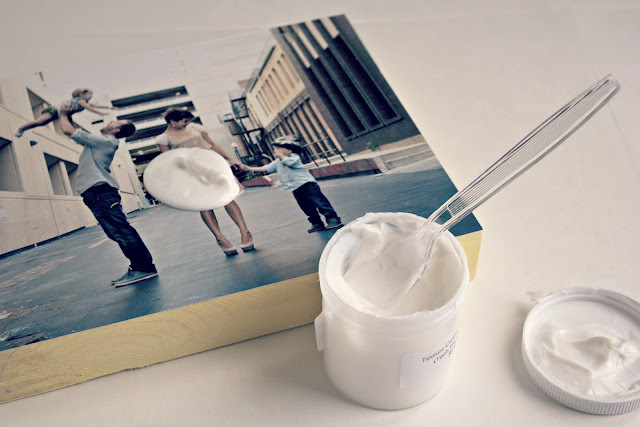 Apply a plastic spoonful of texture coating to the center of your photo (less if the photo is smaller than an 8x10). 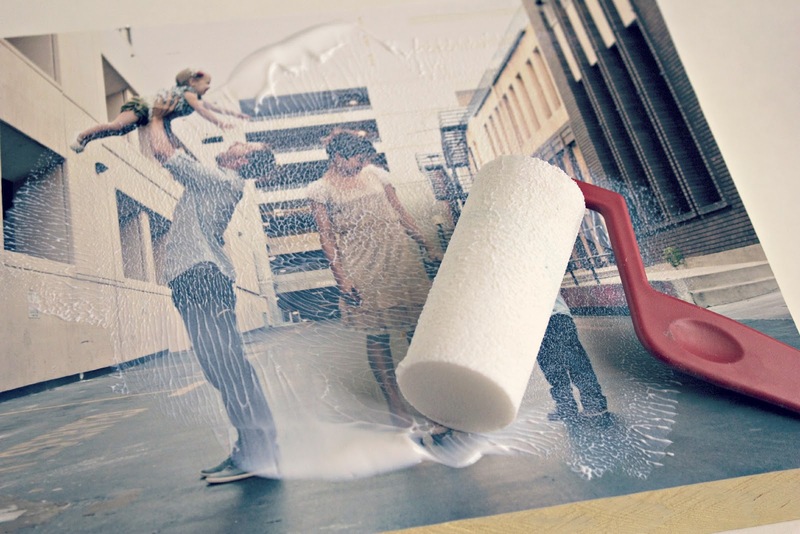 Use a small roller to spread the coating on the photo only (you don't need any on the wood). Once your photo is dry it should have a matte textured appearance similar to a canvas print, but at less than half the cost! Very cool. This has been on my to do list for a while now. I've seen some tutorials on this, but this is by far the easiest one to follow. Pinning this later! Thanks for sharing at Handmade Tuesdays. wood connection... here I come!! The photos look great. I have done a few canvasses but not been game enough to apply the coat on to the picture. This is awesome...I've seen the same idea being used for art canvas but I really like the wood better..more stronger!